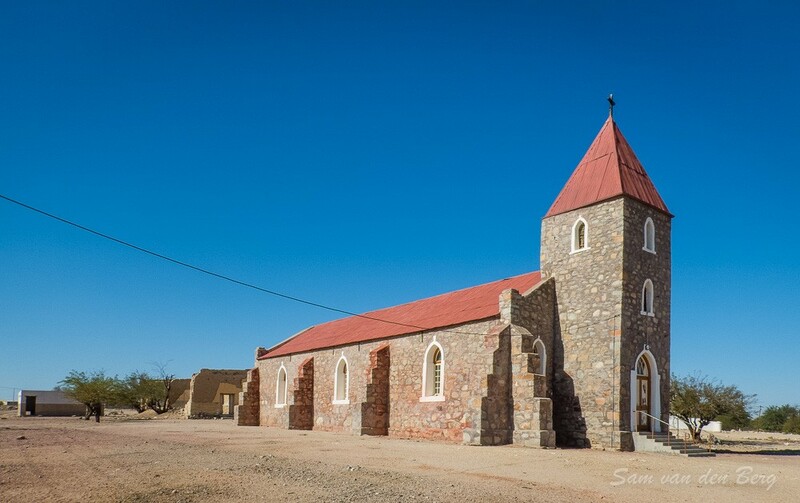 Rhenishe Church - with memorial for the Missionaries who served in Warmbad. 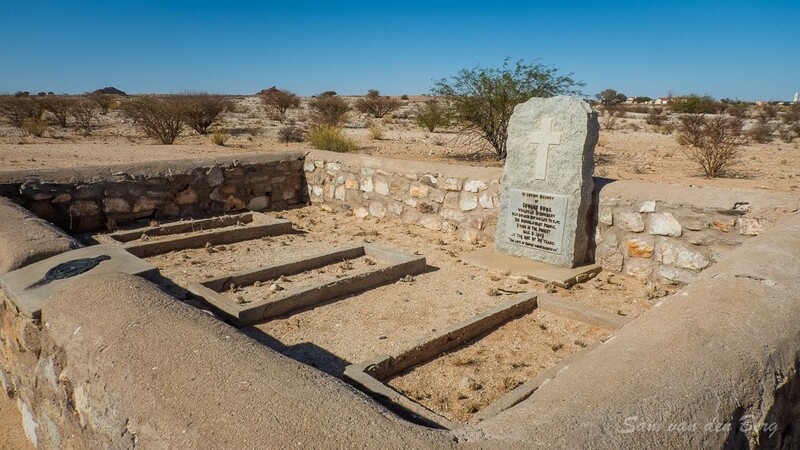 Memorial for the Missionaries who served in Warmbad. 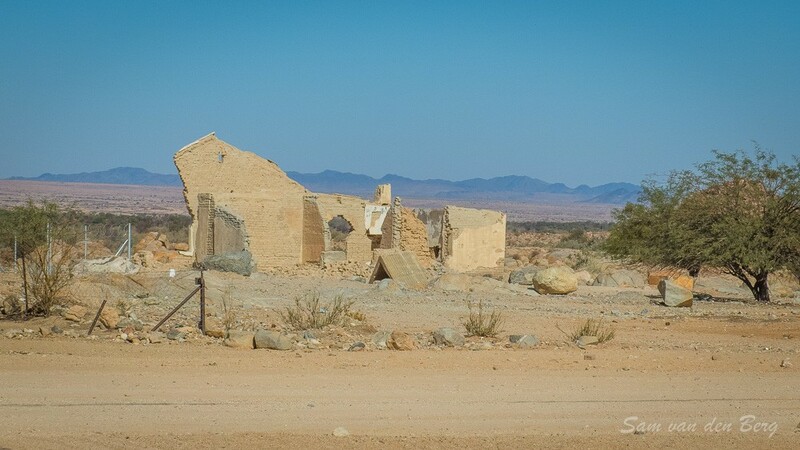 Warmbad is one of the oldest towns in Namibia. 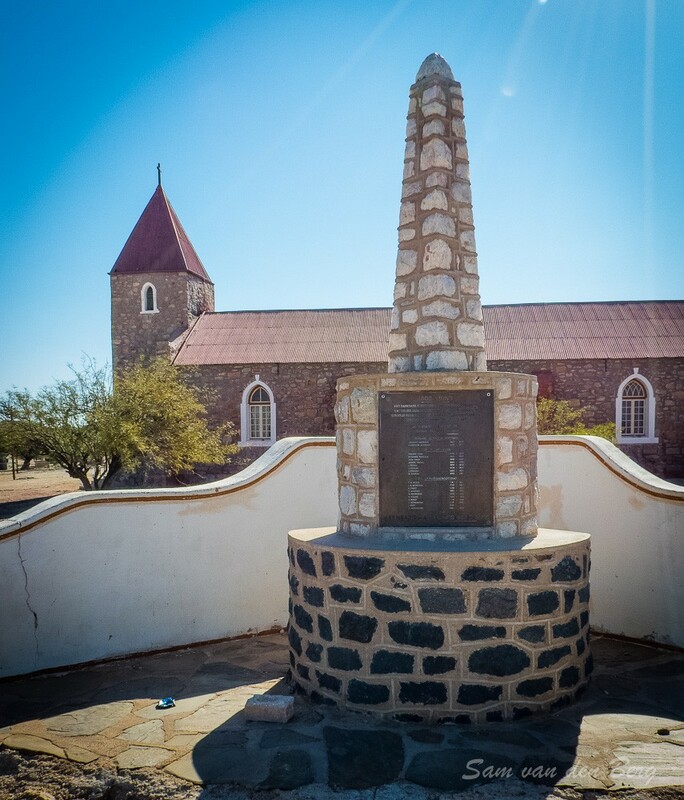 It was first occupied by traders, hunters, and missionaries of different congregations and the hot springs from which the settlement's name is derived were first explored at the beginning of the 20th century. 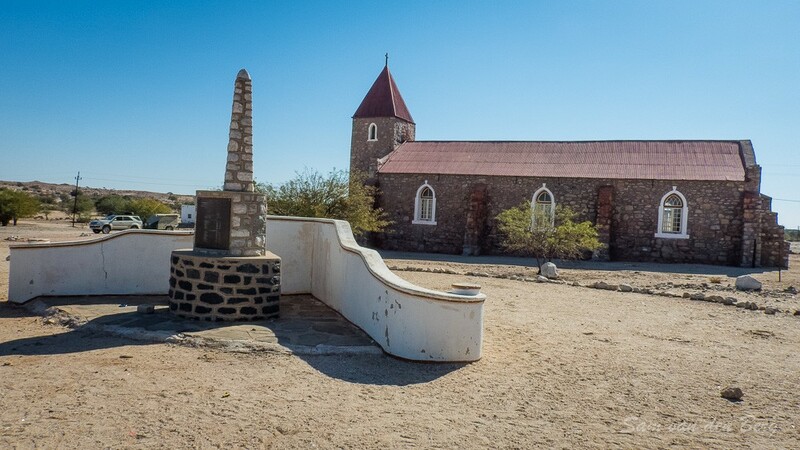 In 1805 two missionaries from the London Missionary Society, Abraham and Christian Albrecht, initiated the erection of a church and a pastor's house, thereby establishing the first mission station in South West Africa. 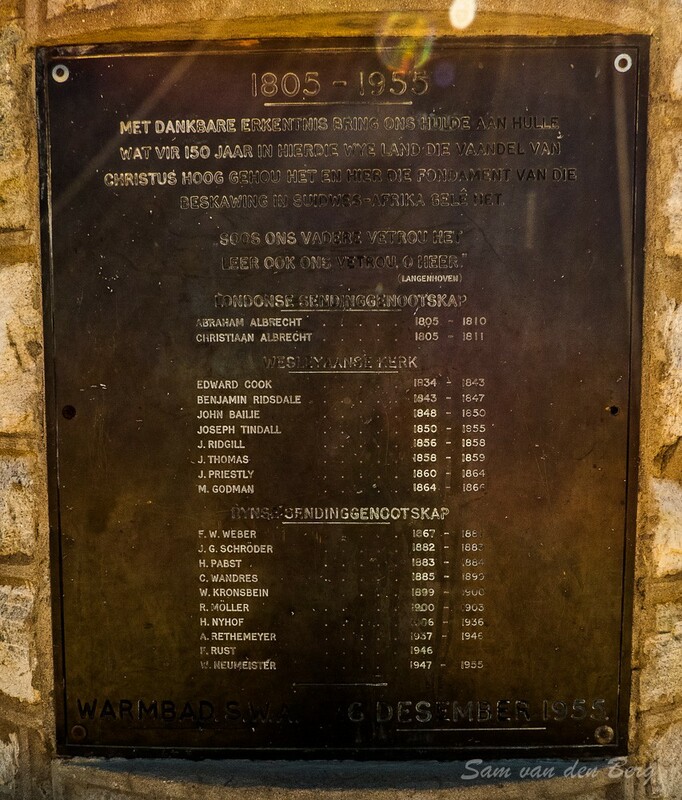 The local Orlam community under the leadership of Jager Afrikaner soon became angry about the European influence and destroyed both buildings in 1811. In 1834 the missionary Edward Cook entered the area and erected a new missionary building on the foundations of the destroyed buildings. 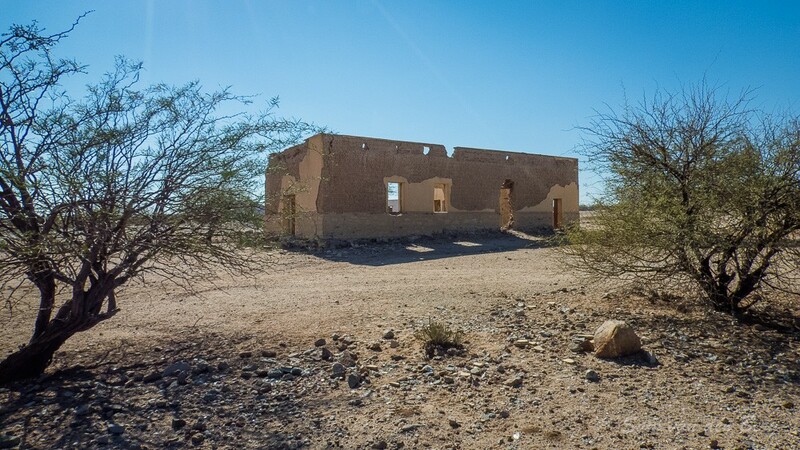 After Germany declared its territorial rights over South West Africa, barracks was built in Warmbad in 1905, and Schutztruppe soldiers were stationed at the settlement to counter the Herero and Nama uprising. 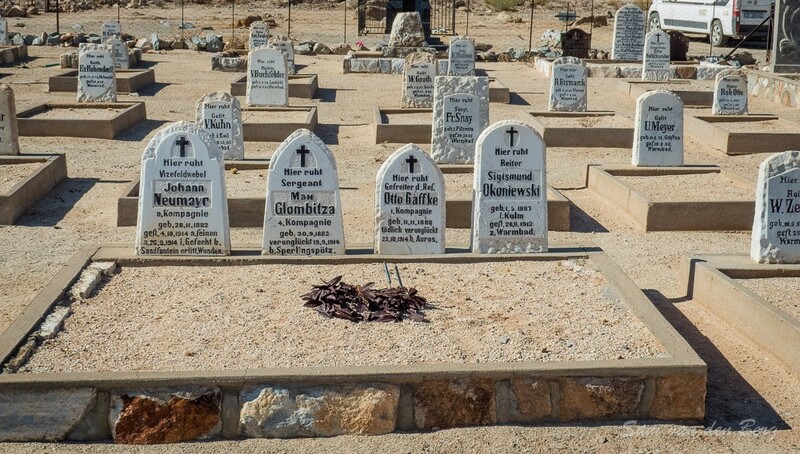 Jacob Morenga, attacked the Germans stationed in Namibia's South from his fortress ǁKhauxaǃnas. 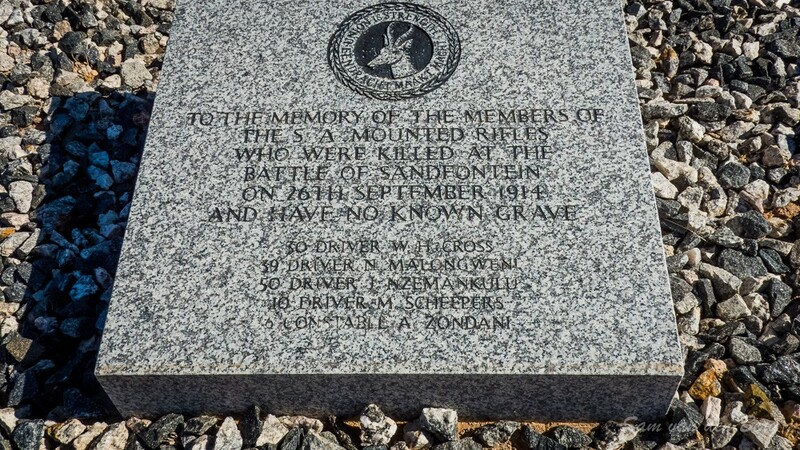 At Warmbad cemetery there is a statue of him in remembrance of these events. 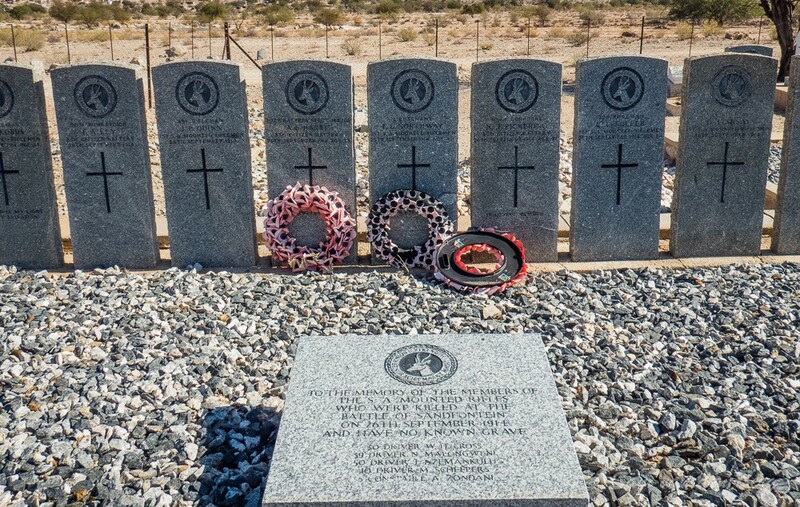 There are also a number of WWI wart graves of both Allied and German troops tha fell during the battle of Sandfontein. 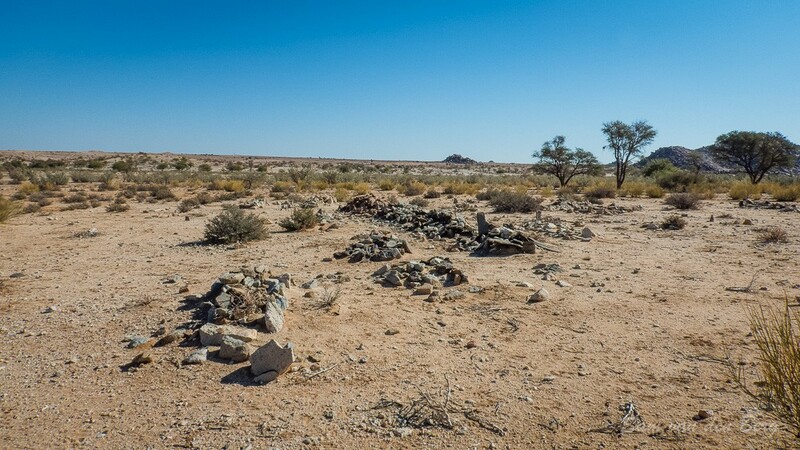 Whet the main road and railway line between South Africa and Namibia was built it bypassed Warmbad resulting in the gradual decline of the town. 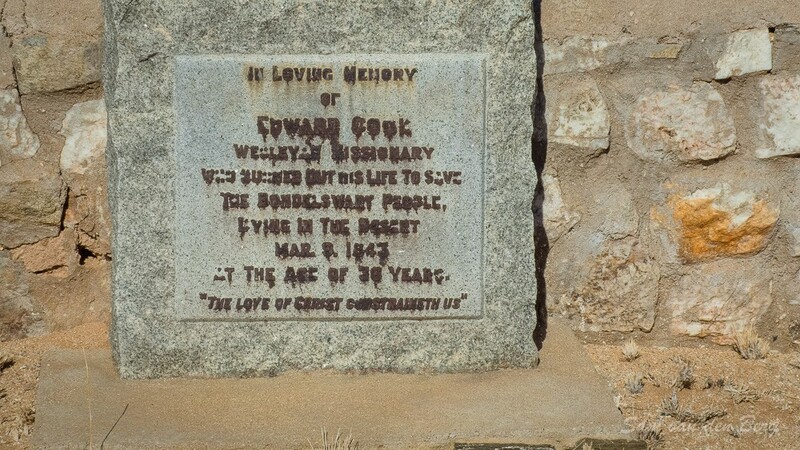 Just outside Warmbad is the grave of Edward Cook a missionary amongst the Bondel Swarts. On the Tombstone is the following inscription. "THE LOVE OF CHRIST GOD REMAINETH WITH US"